Kochi (or Cochin), known as the “gateway to Kerala”, has that special eclectic atmosphere of cities that have been exposed to a variety of outside influences over the centuries. As a trading town from very early days, it first attracted Arab and Chinese merchants and then the Portuguese, Dutch and British, all of whom left their imprints on Kochi as it grew, creating the rich heritage is boasts today. Kochi is still the industrial and commercial capital of Kerala and one of the busiest ports on India’s West coast. Past influences are reflected in much of the heritage that visitors enjoy in Kochi, from Chinese fishing nets and Dutch palaces to synagogues and Baroque churches. 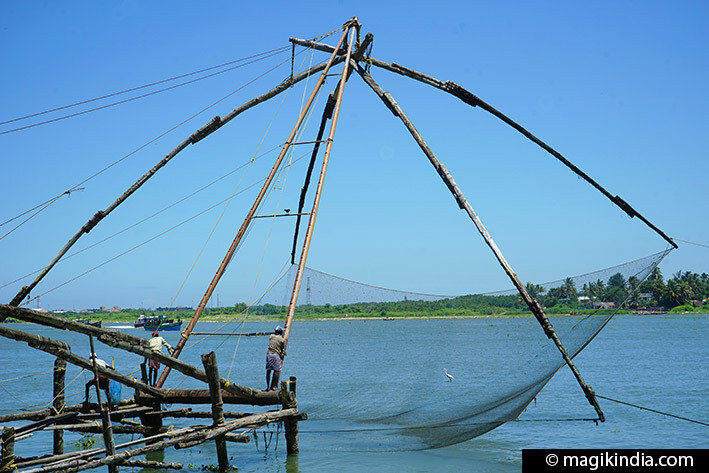 Kochi is also traversed by a network of backwaters, beyond which rise the verdant Western Ghats. All this makes the town a fascinating and relaxing stopover for travellers. On the first day of Onam, called Atham, parades are organised in some town. Their purpose is to show the richness of Kerala’s culture. The best example is to be found in Thripunithura near Kochi, where every form of Kerala classical and folk art parades along the streets in a procession called Athachamayam. 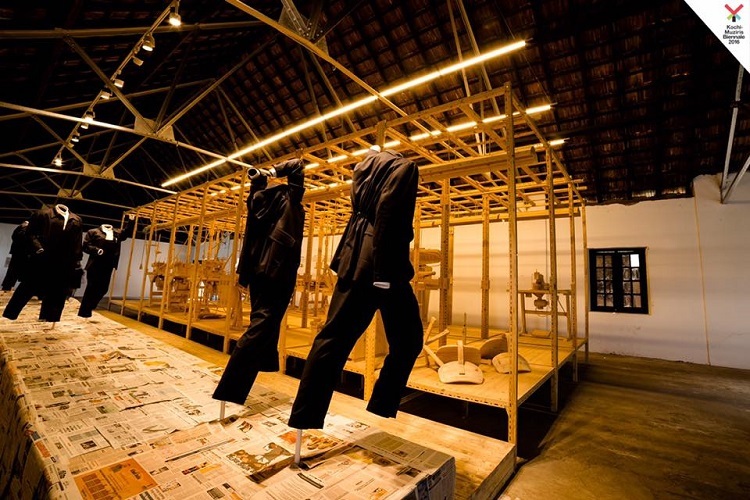 The Kochi-Muziris Biennale is an international exhibition of contemporary art held in Kochi. It is the first Biennale being held in India.The Kochi-Muziris Biennale is an initiative of the Kochi-Biennale Foundation with support from the Government of Kerala. 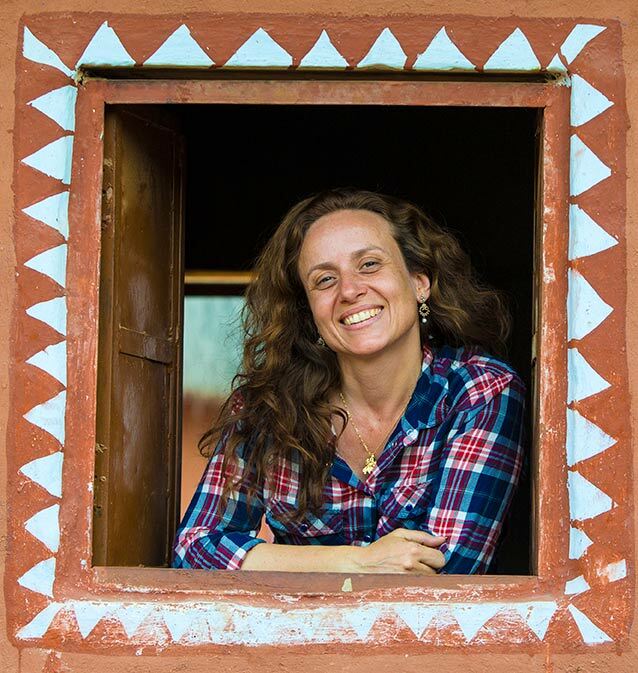 The exhibition was set in spaces across Kochi, Muziris and surrounding islands. The shows are held in existing galleries and halls, and site-specific installations in public spaces, heritage buildings and disused structures. Indian and international artists exhibits artworks across a variety of mediums including film, installation, painting, sculpture, new media and performance art.Through the celebration of contemporary art from around the world. 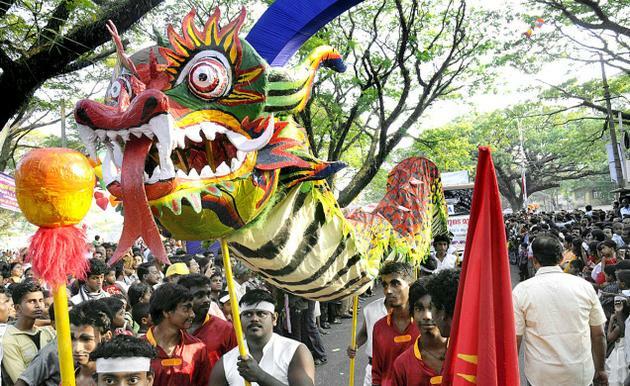 Cochin Carnival is a merry making feast observed to welcome New year during the last week of December every year at Fort Kochi. The origin is traced to Portuguese New Year revelry here during the colonial days. The major highlight of the carnival is the massive procession held on the New Years Day. A decorated elephant leads the procession accompanied by ‘Panchavadyam’, music bands, fancy dress, spectacular floats, folk arts forms of Kerala etc. The Indira Gandhi Boat Race is an annual boat race conducted in the last week of December in the Lake of Kochi, by the Department of Tourism of the state of Kerala. 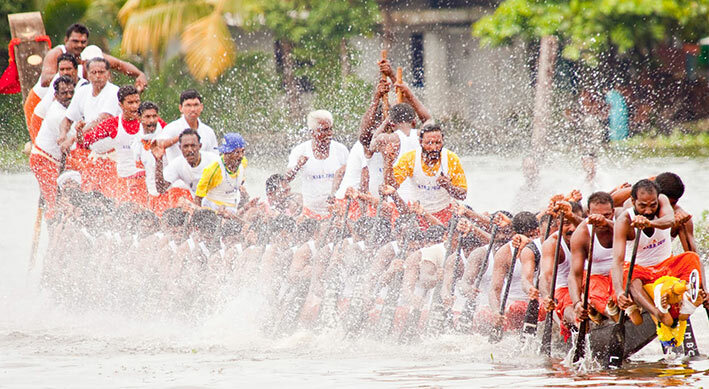 This boat race is one of the most popular vallam Kali (snake boat race) in Kerala. The trophy of the race is named after Indira Gandhi, the former Prime Minister of India. 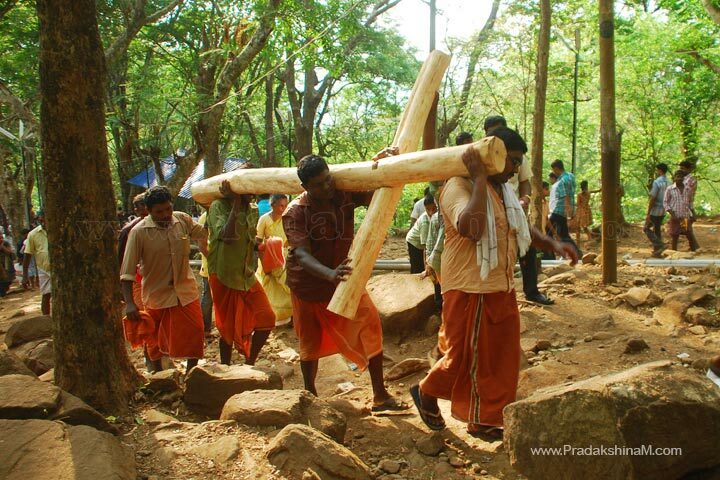 The festival of Malayatoor Perunnal is celebrated in the months of March/April every year. 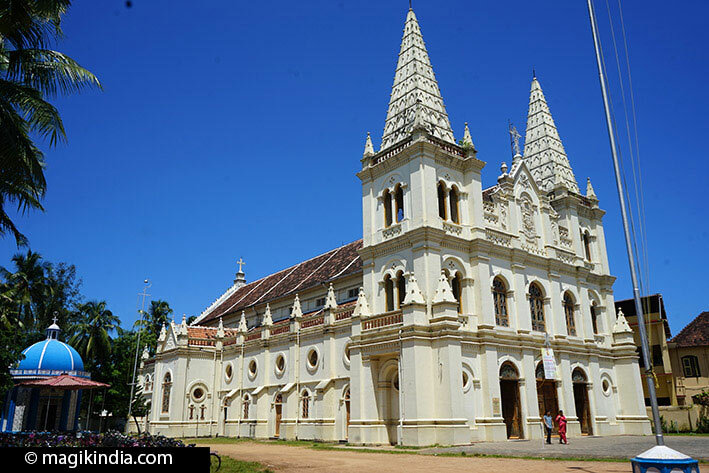 It falls on the Sunday after Easter and is organized at the world-famous Catholic Church at Malayatoor, situated near Kochi. Situated atop the Malayattoor hill, at a height of some 609 m, this church is dedicated to the famous apostle of Jesus Christ, St Thomas. 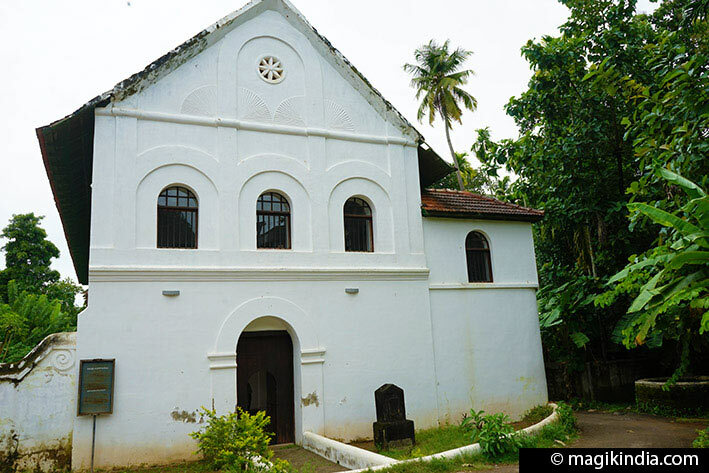 It is often referred to by the name of the St Thomas Malayattoor Church also. It is believed that St Thomas prayed at this church when he landed in Kerala. During the celebration of the festival, pilgrims of all faiths walk uphill chanting the name of the Apostle. These curious square Chinese fishnets (called cheenavala in the Malayalam language) are specific to Kochi; they are to be found nowhere else in India. 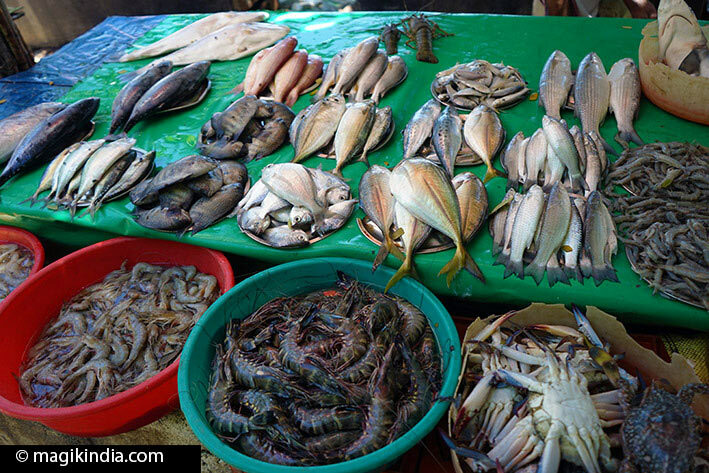 They are believed to have been introduced by Chinese merchants from the court of Kublai Khan who often called at Kochi. It takes the strength of several men to operate one of these nets, lowering it into the water or raising it by a system of ropes, pulleys, counterweights and articulated wooden poles. It’s a grand sight to watch. Dating from 1503, the Church of St. Francis is said to be the oldest European-built church in India. Vasco da Gama, who discovered the sea route from Europe to India, landed at Kappad near Kozhikode (Calicut) in 1498. He was followed by Pedro Alvares Cabral and Afonso de Albuquerque. With the permission of the king of Cochin they built a fort at Kochi and, inside the fort, a wooden church dedicated to St. Bartholomew. The district is still called Fort Kochi. The church was rebuilt many times and rededicated to various saints. The final version, still standing, was completed in 1516 and dedicated to St. Francis Xavier. On his third visit to Kerala, Vasco da Gama fell ill and died at Kochi. He was buried in St. Francis’ church and although his remains were later taken back to Portugal, his gravestone can still be seen in the church. The story of the Santa Cruz basilica begins in 1500, when Portuguese missionaries arrived with the second Portuguese fleet led by Alvares Cabral. King Trimumpara of Kochi welcomed them warmly, but this caused a war between the kingdoms of Kochi and Kozhikode (which was ruled by the Zamorins). The Portuguese army routed the Zamorins and in return the king gave them permission to build a fort at Kochi. 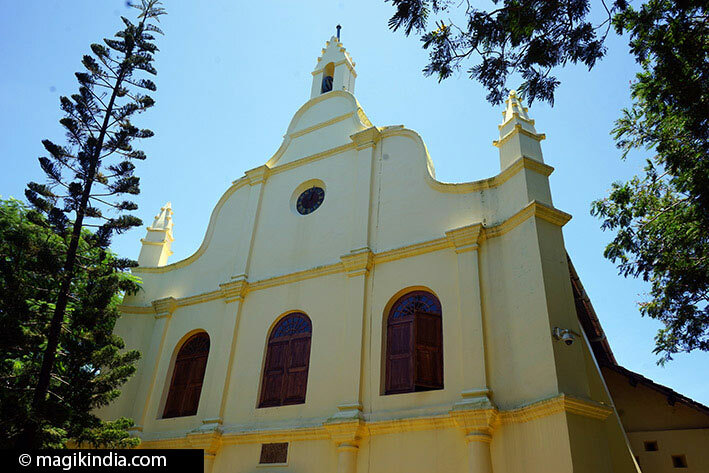 In 1505, Don Francisco de Almeida, the first Portuguese Viceroy, obtained permission from the king of Kochi to build the church. The first stone of the Santa Cruz church was laid on 3 May 1505, the day that celebrates the Finding of the Holy Cross – whence its name. 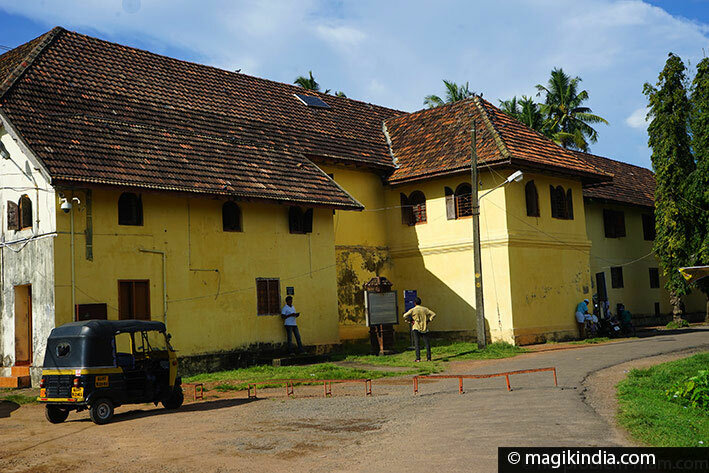 Although it is called the Dutch Palace, it was built by the Portuguese and gifted to the king of Cochin around 1555. Later, in 1663, the Dutch renovated it and added extensions, whence the name it is known by today. It now houses a gallery of portraits of kings of Cochin and some notable murals of mythological subjects. 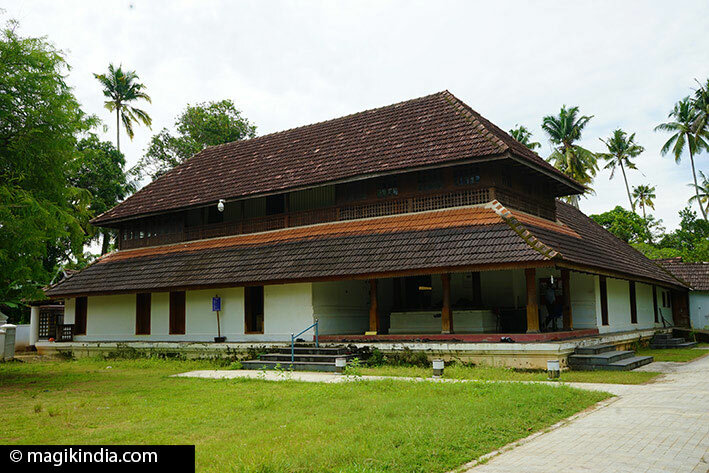 The palace is a four-sided structure built in Kerala’s traditional Nalukettu style, with a courtyard in the middle and a small temple dedicated to Pazhayannur Bhagavati, the Kochi royal family’s protecting goddess. The palace is flanked by two other temples, dedicated to Krishna and Shiva. 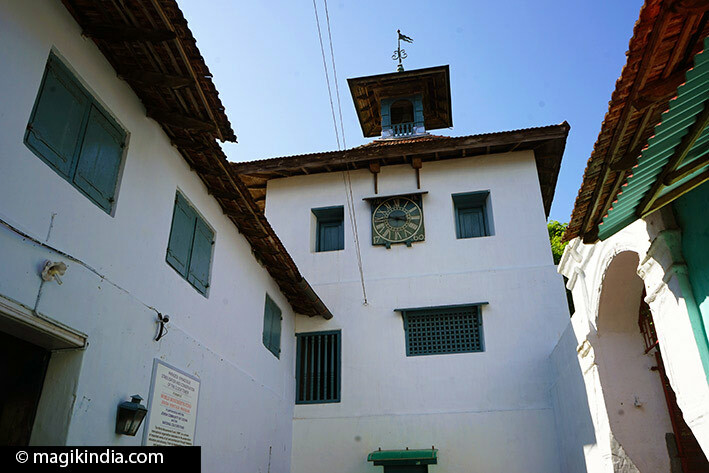 The Paradesi Synagogue, in a cul-de-sac in the old Jewish quarter, was built by Cochin’s Jewish community in 1568. 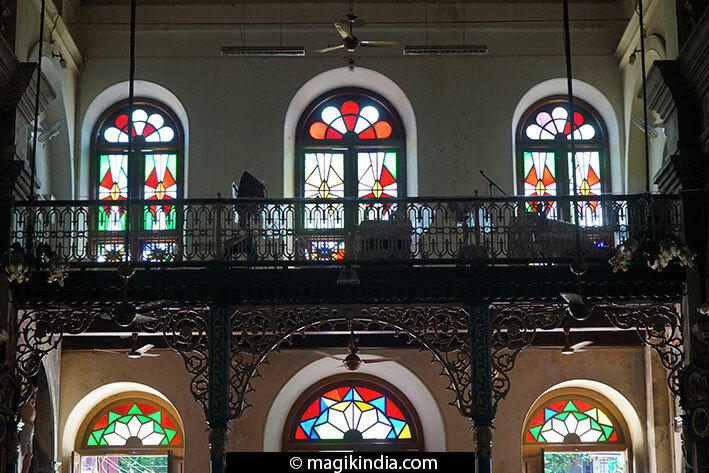 It is one of seven synagogues in Kerala but the only one still in use. It was destroyed by the Portuguese in 1662 and rebuilt two years later by the Dutch. Paradesi means “foreigner” in the Malayalam language, referring to the Spanish-speaking Sephardic Jews. The Malabari Jews formed a prosperous trading community in Kerala and controlled much of the world-wide spice trade. The synagogue boasts a number of rare features. The striking glass chandeliers date from the 19th century and were made in Belgium. The hand-painted blue ceramic floor tiles, each one unique, were imported from China in the 18th century by Ezechiel Rahabi, a well-known Jewish businessman. The synagogue also houses 4th-century copper plates bearing inscriptions in Malayalam, but in mirror writing (called kannadiyezhuthu), describing the privileges the king of Cochin had granted to the Jewish community. 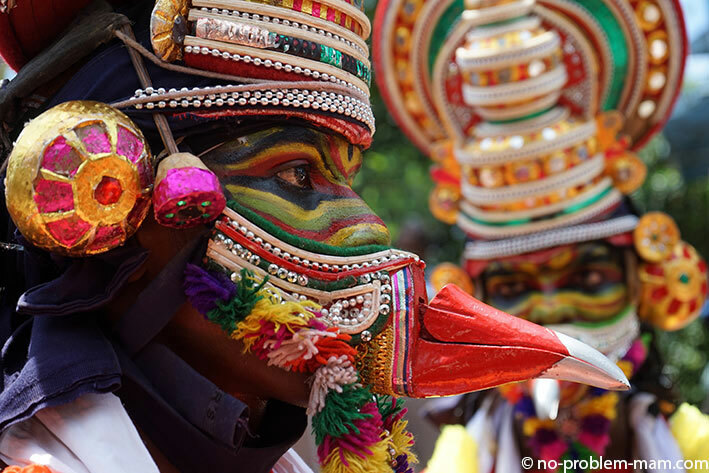 While in Cochin you can watch performances of Kathakali, one of Kerala’s best-known classical dances. 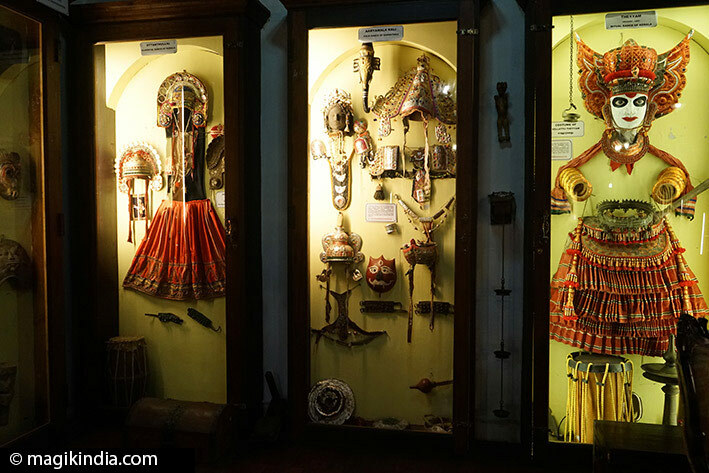 The Kerala Kathakali Centre, the Cochin Cultural Centre or Greenix are the main places to watch this ancestral art. However, the performances are usually just introductions to the art, intended for tourists. 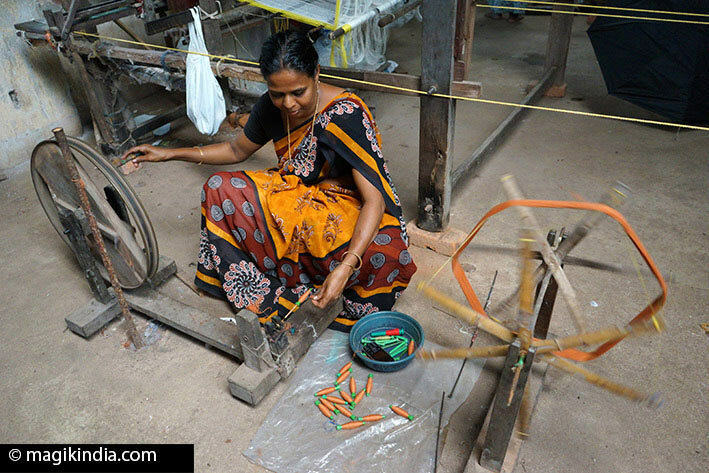 Near Veli Maidan in Fort Kochi you can see men and women busily at work in the town’s main laundry. A narrow lane leads to a shed where clothes and bed-linen are ironed and stacked with impressive dexterity. Just next door, the washing is done in concrete tanks in much the same way as in Europe in the old days. 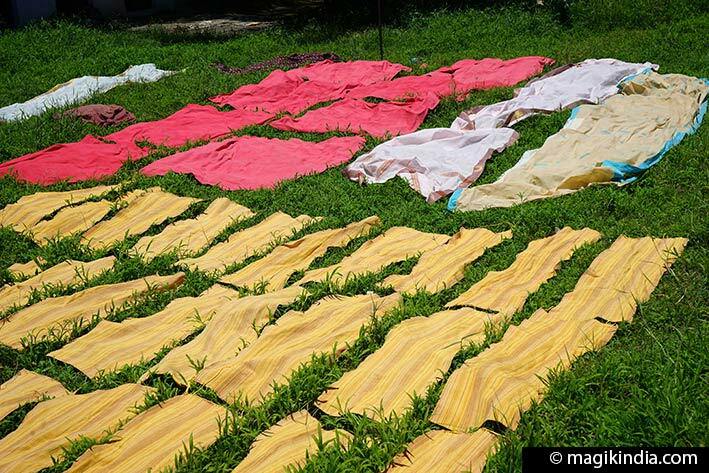 Further along, a multitude of garments are drying in the sun, on big racks or spread on the grass. Some dhobis (laundrymen) have contracts with the hospitals, hotels and government bodies; others go from door to door. This hilltop palace, reached by a flight of steps, was built in 1865 as the residence of the Cochin royal family. 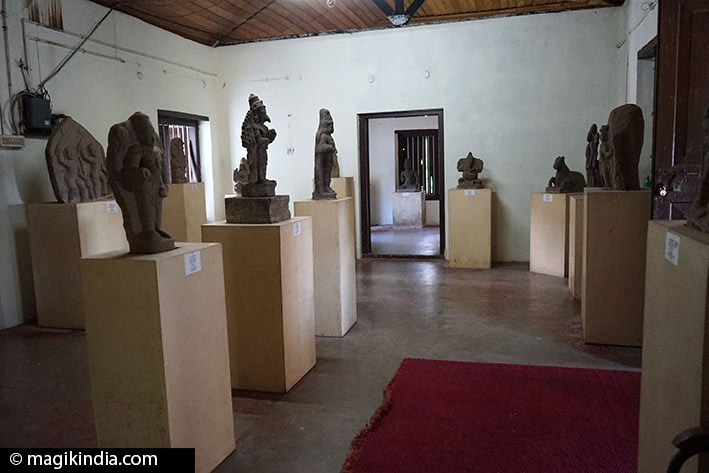 The family handed it over to the Kerala government and in 1980 it was taken over by the Department of Archaeology and turned into a museum. The palace complex comprises 49 traditional-style buildings set amid 54 acres of carefully maintained gardens. It houses an archaeology museum, a heritage museum, a deer park, a prehistoric park and a children’s park. The palace’s main attraction is the room containing the royal crown, made of gold and set with precious gems. 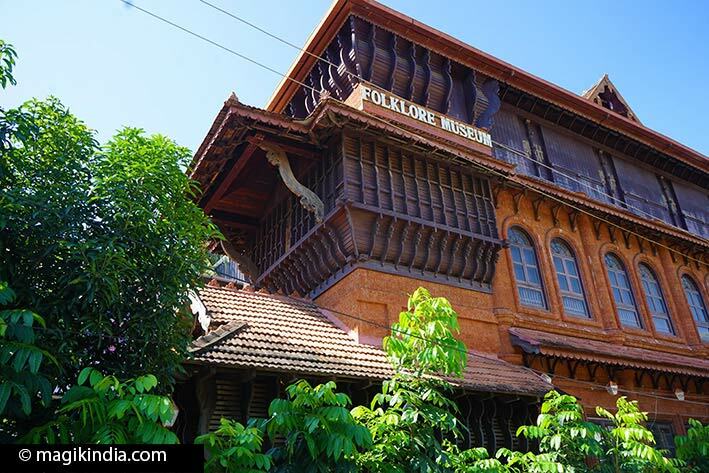 The Kerala Folklore Theatre and Museum in Ernakulam, opened in 2009 by a non-profit organisation, spotlights Kerala’s rich heritage of arts and crafts including masks, sculptures, traditional costumes and dances. The building itself is remarkable, its three storeys built in the Malabar, Cochin and Travancore architectural styles – an irresistible invitation to see what’s inside. The entrance was built from the remains of a 16th-century Tamil temple and wooden sculptures collected from across Kerala. 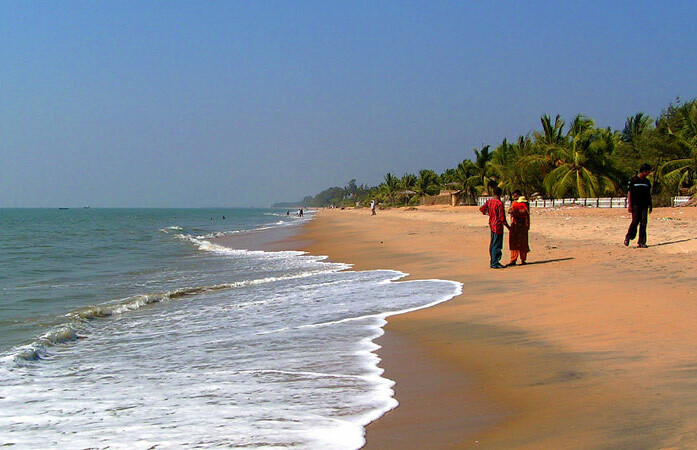 The picturesque Cherai Beach lies to the north of the Vypeen islands, 25km from Kochi. It’s the ideal place for bathing, with coconut palms, rice fields nearby and sometimes a sighting of dolphins. 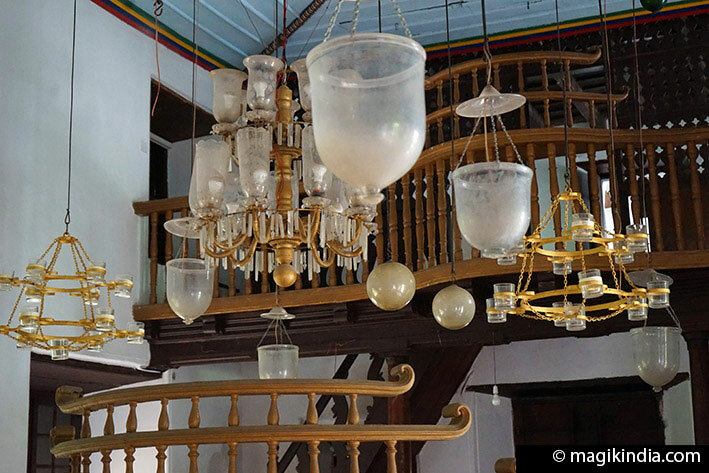 This gem of a synagogue in a peaceful little village 35km from Kochi is well worth seeing. It was built in 1614 during the Portuguese Inquisition and surrounded by a high wall, probably for protection. Chennamangalam synagogue reflects traditional Kerala architecture. It features a majestic altar with intricate artwork. The ceiling has a brightly-coloured chequered pattern, with huge wooden beams supporting the roof. A wooden balcony with a magnificently carved balustrade is a further example of the synagogue’s architectural sophistication. Chennamangalam’s Jews had been settled on the Malabar Coast for centuries; some say they first arrived in the 1st century CE after the destruction of the second Temple in Jerusalem. 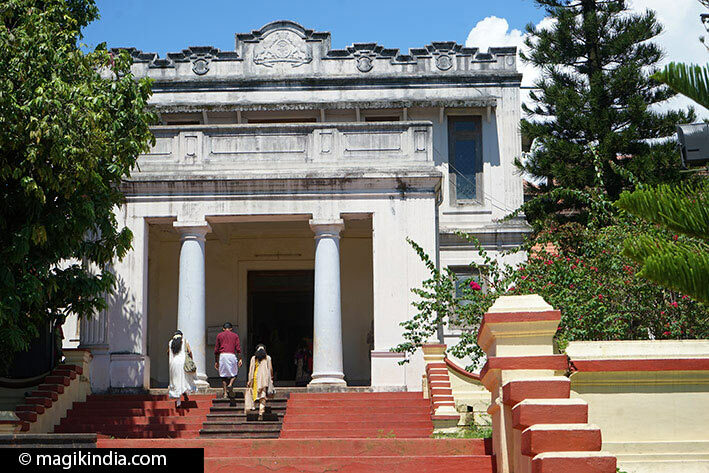 Paliam Palace was once the residence of the Paliath Achans, hereditary prime ministers to the Kochi maharajas. In the 16th century, when the king’s safety was in danger from the Portuguese, the Paliath Achan protected him by taking him incognito to their Chendamangalam residence. Later the Dutch renovated the building, whence its name of Paliam Dutch Palace. It houses a collection of historic documents and relics. Chendamangalam is also noted for hand-woven dhotis mundu (dhotis with gold borders) and Neriyathu saris (white gold-bordered saris). Several factories are open to visitors. 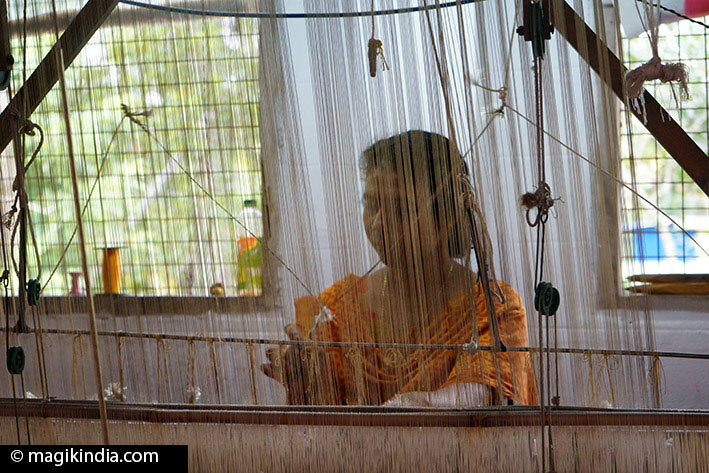 As in other parts of Kerala, the handloom weavers of Chendamangalam used to be under the official patronage of the aristocratic Paliam family, whose members were hereditary prime ministers to the rajas of Cochin.